The Clintons have a reputation for attacking political foes and giving special treatment to their friends and donors, a reputation that continues to dog Hillary’s presidential ambitions. "Given all that I did in the campaign (as described in detail in the memo), I’ve never understood why I wasn’t offered a serious position in the government after you won," Shearer wrote to Hillary in a letter dated August 26, 1993. "I was one of your longest standing supporter [sic] but I wasn’t an FOB hanger on; I’m a smart and talented person who contributed to winning–and I was with you in the trenches in the darkest days." 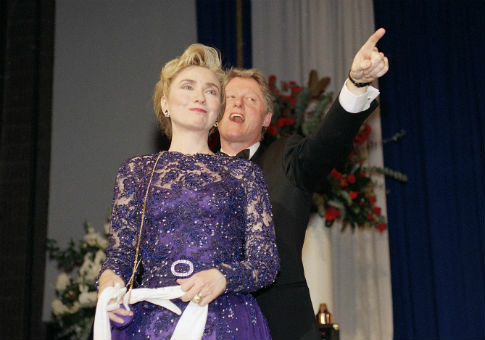 Hillary Clinton defended her husband from the affair by calling Flowers "some failed cabaret singer who doesn’t have much of a resume to fall back on."